Second day of derive: the fact that Saturday is traditionally the leisure day, has also made the people I was following in Seoul, to take me to shopping districts, or accidentally monumental spots; these were anyway lying one next to each other: trendy consumption together with culture origins. 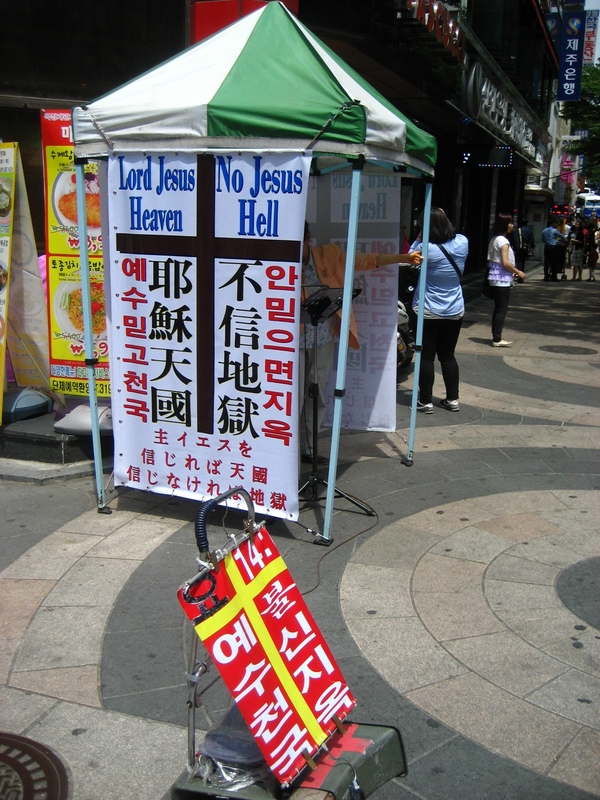 Walking along lanes filled up with multitude of clothing stores, in between I meet Korean folk dances all along, or an spontaneous taekwondo show, or a procession of Royal guards in traditional costumes, or a replica of a traditional village, or a woman handing brochures for a religious sect asking me whether I need spiritual comfort f0r my depression. (do I look so depressed?!) 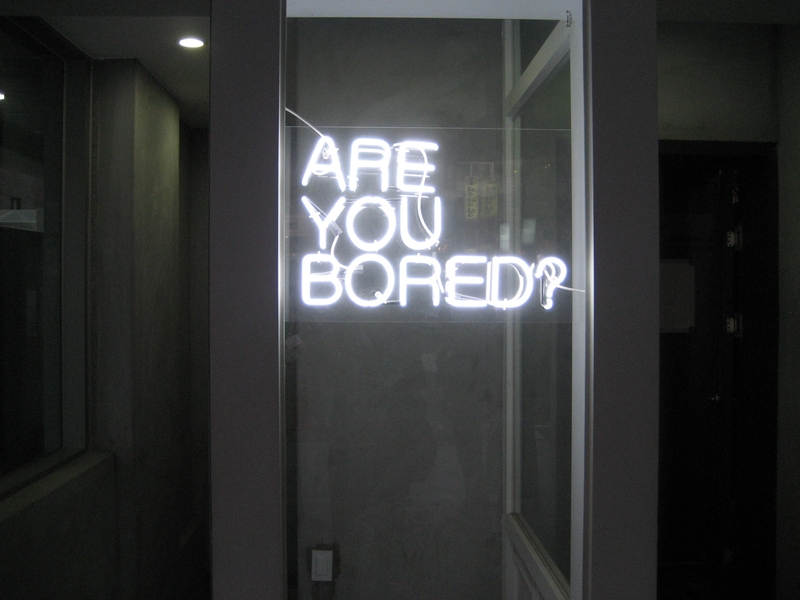 The answer is a sign I find later wondering whether I am bored! 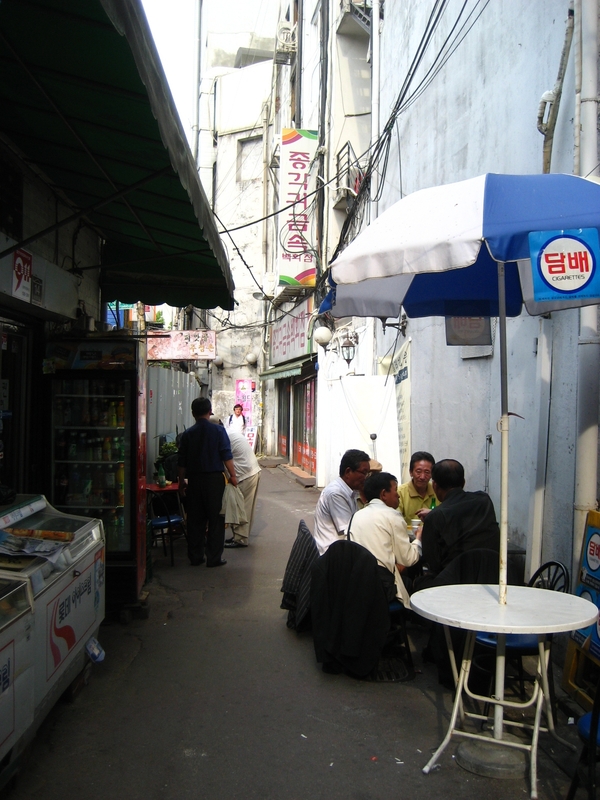 I discover a network of back alleys, which were originally built for common people in order not to walk along the main street, since they would be obliged to kneel down whenever a Lord walk by. So these alleys turned into lively spots for the everyday avoiding imposed protocols. Suddenly Berlin appears in front of me! Five years ago, the city gave a piece of the Wall to Seoul, trying to achieve a peaceful reunification of the two Koreas. Just in front, I found the Canal. If yesterday some alleys remind me of Tokyo, now I have landed back in Kreuzberg, but with cleaner waters. The city has destroyed the 1950s highway, in order to recover the historical river which used to cross the city, and give it back to citizens. A project which pushed the Major of the City become the Prime Minister of the country. Should Shanghai recover its dried up network of channels as well? For a moment, I decide to make the pre-fab Chinese City prototype guide me, and leave my derivators aside. 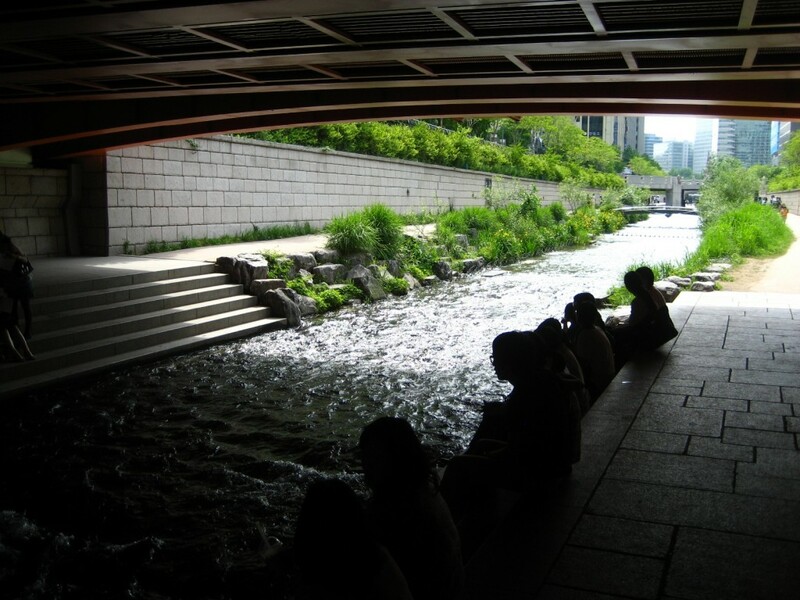 Ancient Seoul copied their philosophy in order to plan their own urban grid. So as soon as I see the Gate to the Imperial Palace, with the river at my back a mountain in front, I prove that I am in the North-South fengshui axis. I didn’t want to use cardinal points, but I needed to prove whether an Empire transported the same urban concept to all its conquers.